The biggest film fans in Bulgaria are looking forward to seeing another provocative challenge made by the great Michael Haneke - Happy End (2017), a film nominated for Palme d'Or in the main competition section at the 2017 Cannes Film Festival. Hanneke is a director, awarded with 10 awards at the most authoritative film forums over the years, two of which are Palme d'Or. He has more than 90 awards from around the world and has created masterpieces such as Amour (2012), The White Ribbon (2009), The Piano Teacher (2001), which the Bulgarian audience saw at previous editions at Sofia Film Fest. In his latest work, Michael Haneke reveals the story of a French bourgeois family. It takes place in Calais, and portrays the dramatic twists and turns in a community with the refugee crisis in Europe as a backdrop. The grandfather in the family wants to put an end to his life, the son "talks" secretly with a strange woman on social networks, the grandson is spoiled and has a strong self-esteem, and the 12-year-old granddaughter is a real angel. Only the daughter Ana (Isabelle Yuper), who runs the family business, is presented as a pillar of normality. For his newest story, Haneke relies on an outstanding cast of actors: Jean-Louis Trintignant, Mathieu Kassovitz, Laura Verlinden, Toby Jones, Franz Rogowski, and Fantine Harduin. In Happy End Haneke stays true to his specific style - to be an observer of his characters, and this technique is implemented with interesting visual solutions. 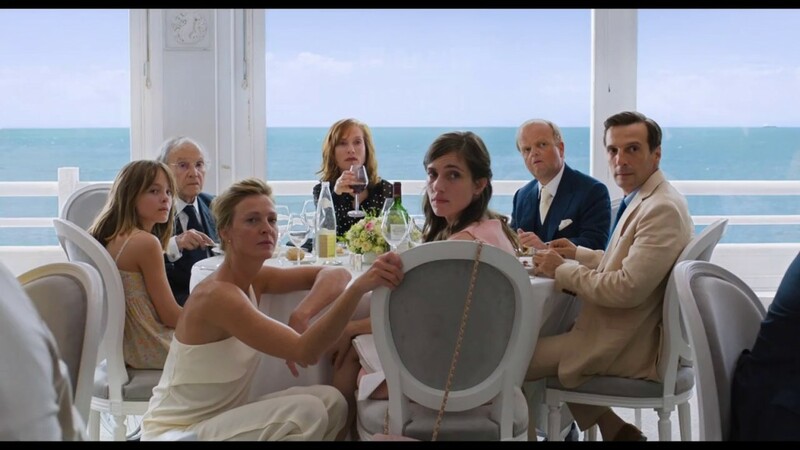 An especially curious fact about the creation of the film is that Jean-Louis Trintignant, who had retired from the film world back in 2003, returned to the set especially for Haneke's sake. Trintignant describes Haneke as "one of the greatest directors of our time" and is ready to play any kind of roles in his films. The Austrian master, on his part, has repeatedly said that Trintignant is one of his favorite actors alongside Marlon Brando... Happy End comes to the Sofia Film Fest program in partnership with Euro Films.